Katherine, Joe, Jermaine, Alejandra, Genevieve, Donte & Randy Jr move back into a renovated Hayvenhurst. Janet is on the cover of Upsale magazine. Janet renegociates her contracts with Virgin Records and earns an unprecedented 80 million dollars! Michael shoots the “Prison” version of the They Don’t Care About Us video directed by Spike Lee in New York . Michael’s nurse & friend Debbie Rowe offers him to bear his child. She gets pregnant but has a miscarriage. 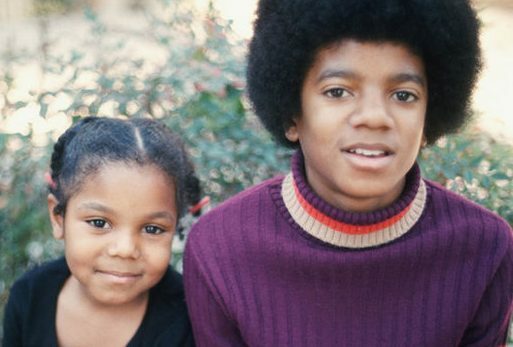 LaToya and Jack Gordon give a press conference to announce ‘Jackson Family Secrets phone line’ at Fashion Cafe in New York City. LaToya & Jack are guests on Howard Stern, Maury and Geraldo. “Twenty Foreplay” is released as the 2nd & final single from “Design Of A Decade 1986-1996” along with a video featuring Janet as actress Dorothy Danthridge. Lisa Marie officially files for divorce. Michael’s spokesman states that they remain friends. Michael goes to Motown Café in New York with his make up artist & friend Karen Faye. Michael is in NYC to shoot the video for “They Don’t Care About Us” directed by Spike Lee. BET airs Janet’s interview with Ed Gordon. Michael goes to Rio in to shoot a second version of the They Don’t Care About Us video directed by Spike Lee. He takes the Cascio kids with him. Michael & the Cascios arrive in London . Michael performs Earth Song at the Brit Awards in London and he is almost interrupted by Jarvis Cocker, the leader of the British Band Pulp and he also receives the award of Artist Of A Generation presented by Bob Geldof. Controversy over the Earth Song performance in the UK . Michael & the Cascio kids go to Disneyland Paris to spend a few days before flying back to the US. Michael starts working on a new short film named “Ghost” for the song 2 Bad, directed by Stan Winston and co-written by Stephen King. This project is based on the “Is This Scary” project that was scrapped in 1993 because of the Chandler scandal. Michael is in Paris to visit castles. He stays at the Disneyland Hotel and at the George 5 Hotel. Michael gives a press conference in Paris to announce the launch of Kingdom Entertainment , a Paris based multimedia corporation jointly owned with Saudi Prince Al Walid. The single for “They Don’t Care About Us” is released as the 4th single from “History”. During breaks, he visits his family at Hayvenhurst disguised as the “Mayor”. Debbie Rowe visits Michael on the set of the “Ghosts” short film and announces that she’s pregnant with their baby. LaToya calls Randy and asks him to rescue her from Jack Gordon. Randy immediately catches a plane with his cousin Tony and they take LaToya from her New York hotel straight to her Las Vegas home. There, LaToya is treated for bruises and she files for a restraining order and a divorce. LaToya slowly reconnects with the family starting with Randy, Jermaine & Joe and she speaks to Katherine on the phone. Michael makes a break in the Ghost shooting to attend the World Music Awards in . He performs Earth Song and receives 5 awards. At the end of the ceremony he gets on stage to hug Diana Ross. He also addresses the controversy over They Don’t Care About Us claiming to never have been anti-Semitic. Michael goes to London . Michael visits Castles in before flying back to the to resume work on the Ghost short film. They Don’t Care About Us is finally released in the US. Michael starts rehearsing for the History Tour with Kenny Ortega. He also rehearses for a special concert in Brunei based on the Dangerous Tour concept. Michael appears on MTV Asia’s Channel 5. Evan Chandler sues Michael, Lisa Marie, Sony Music, Diane Sayer & ABC Television for breaking the confidential agreement of their 1994 settlement. People magazine publishes a picture of Steven Spielberg visiting Michael on the set of Ghosts. In Van Nuys ( California ), Michael shoots the videos for “Stranger In Moscow” (directed by Nick Brandt) & “Why” (with the 3T). He also makes a photoshoot with the 3T for the cover of their upcoming single “Why”. Michael arrives in Brunei with the Cascios. Michael attends the 50th birthday of the Sultan of Brunei. For the Sultan’s birthday celebrations, Michael performs his first ever free concert before 60 OOO people at the Jerudong Amusement Park . Michael arrives in Johannesburg, where he attends a private birthday for President Nelson Mandela. Michael gives a press conference in Sun City to announce concert plans in . Michael goes to Casanblanca (Marocco) for concert plans. Michael goes back to the Budapest Hospital with Bela Farkas, the little boy whose life-saving operation was financed by Michael in 1994. Alejandra gives birth to Jermaine’s son Jaafar Jackson. Michael resumes the History Tour rehearsals in San Bernrdino, California . The singles “Stranger in Moscow” is released as the 5th & final single from the “History” album along with a video in black & white. Michael goes to Disneyland Paris with Anton Schleiter, his sister Franceska and the Cascio kds. 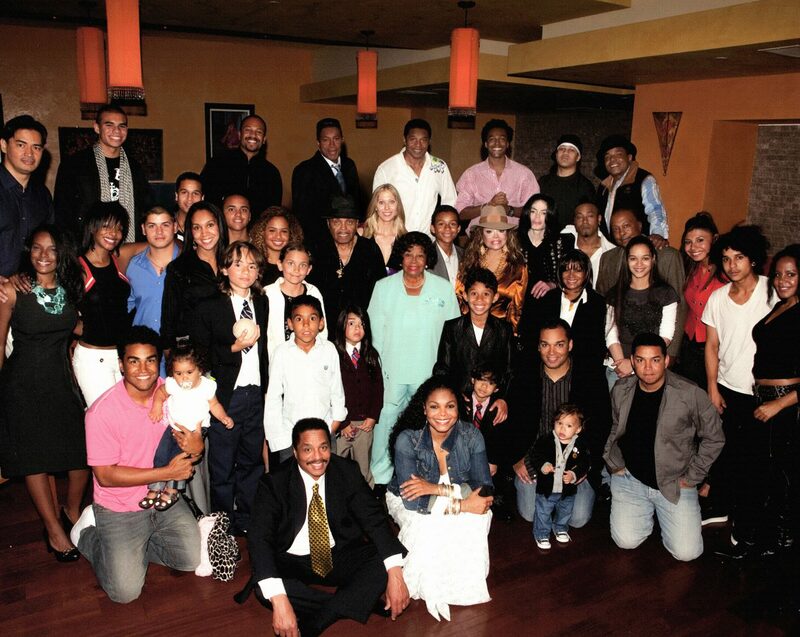 Janet & Rene attend Stacee Brown wedding to Rex Salas at Neverland with all the Jackson family (except Michael, 3T & LaToya). The single “Why” (duet between 3T & MJ) is released in Europe along with a video. It’s a big it in France. Michael arrives in Prague to launch the History World Tour. Michael performs before 130 000 people in Prague . Michael arrives in Budapest where he is welcomed by 4000 fans! Michael arrives in Moscow where he is greeted by the City Mayor. In Holland , Michael launches his own soft drink named Mystery with help from german business man Dieter Wiesner that was introduced to Michael by his longtome bodyguard Wayne Nagin. Michael arrives in London to complete work on the soundtrack for the Ghosts Short film. Michael attends a performance of Oliver at the London Palladium. Michael arrives in Tunis where he is welcomed by hundreds of fans. While in Tunis , Michael meets and befriends Omer Bhatti, a young Norwegian fan that he decides to take on tour with him. Janet & Rene attend the baptizing of Tyler James Harris, the son of Jimmy Jam. The short film “Ghosts” is premiered in 11 selected Sony cinemas in the US. Media learn about Debbie Rowe’s pregnancy. Michael gives an interview to VH1 answering selected questions by viewers. Concert in Sydney . After the show, just after midnight (thus on the 15th) , Michael marries Debbie Rowe in the presidential suit of the Sheraton-on-the-Park Hotel. His cousin Anthony & Dr Metzger are his Best Men. He denies in a press release the news reports claiming that Debbie has been artificially inseminated. Michael & Debbie attend the Australian premiere of Ghosts. Michael visits sick children at the Royal Children’s Hospital in Melbourne . The single “I Need You” by 3T is released in Europe. MJ does background vocals but does not appear in the video. Michael goes to Tower Records in Tokyo to set his hand and signature in plaster for a plaque to be displayed in the store permanently. Michael attends the Japonese premiere of Ghosts with Omer Bhatti. Later he receives a platinum disc award from Sony Music Japon chairman. Michael spends new years’s eve by performing a free concert in Jerudong Park paid by the Sultan of Brunei.